The Europe Direct Information Centre University and the Institute for European Studies will be hosting Professor Richard W.T. 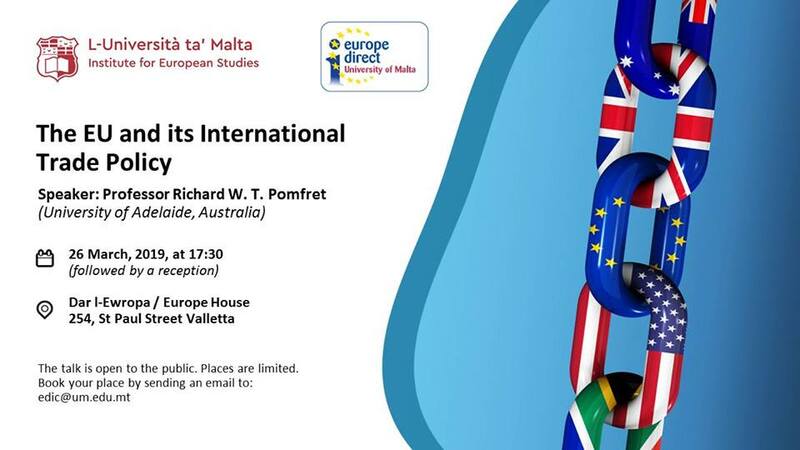 Pomfret (University of Adelaide, Australia) for a public talk on 'The EU and its International Trade Policy'. 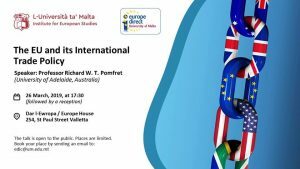 The talk will be held at Dar l-Ewropa/Europe House in Valletta on Tuesday 26 March at 17:30. The talk is open to the public. Places are limited. Please, book your place by filling and submitting the event's form.